I haven't blogged for a while but a lot has been waiting to be shared with our fellow bloggers. Not to say we haven't busy at work. 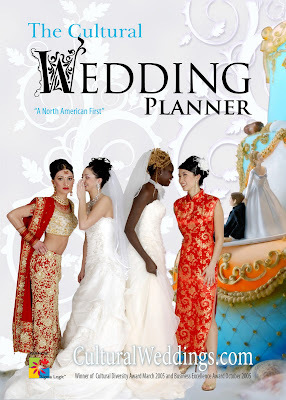 We are excited that the 5th Edition of The Cultural Wedding Planner - A North American First is here and the 7th Edition of Canada's First Edition is here as well. Couples getting married in British Columbia can pick up their copy at most HBC National Gift Registries (The Bay) or at select Chapters / Indigo bookstores. The Chapters in Strawberry Hill (72nd Avenue & Scott Road in Surrey BC) still has some copies which retail for $9.95. And if you prefer you can request us to send you a copy via express post for $14.95. You should have it in your ends within 3 business days. 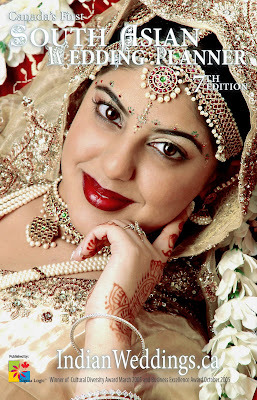 If you are getting married any time soon be sure to get your hands on one of the most comprehensive, high quality planners available all kinds of cultural weddings today. Oh and I can't wait to share the beautiful wedding features in this year's publications.